No matter where you live or what your interests are, you can stay involved with the Wisconsin Union and support the Wisconsin Idea through our mission, vision, and values. 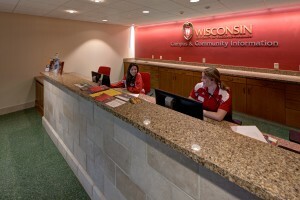 Serving as the social education hub for students, members and the campus community, the Wisconsin Union constantly strives to improve its programs and facilities to meet the needs of current and future generations. 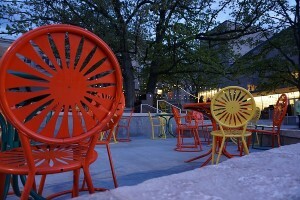 The Memorial Union Reinvestment (MUR) was largely made possible through private donations. 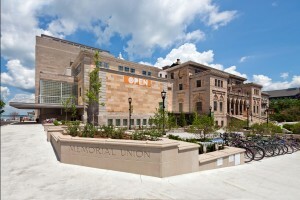 Any and all gifts made in support of the Memorial Union’s mission are greatly appreciated. To make a tax-deductible gift to support MUR, you will be redirected to the UW Foundations secure website. The Building Fund supports new construction, renovations and furnishings for the Wisconsin Union. Support the Building Fund. New piers will upgrade the physical appearance of the lakefront while improving safety and increasing access to all Hoofer watercraft. Make a gift now. Make sure to designate your gift as “Pier and Fleet” in the gift notes field. Dedicating a seat in Shannon Hall of the Wisconsin Union Theater is a visible and lasting way to show your support for the Memorial Union Reinvestment. Your inspiration for inscribing a seat plaque can come from anywhere, for any reason meaningful to you. Plaques will be installed a few times throughout the year. You will be redirected to the Name A Seat website to complete your gift. “Name A Seat” today! 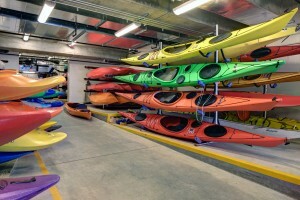 Membership means a lot at the Wisconsin Union: the beginning of a lifelong connection to the heart and soul of the university, supporting all the things people love about the Union—arts and culture, adventure, special guest lectures, film and music—and various benefits that only members can enjoy. Because the Union is a completely self-supporting organization operating without any tax dollars, membership ensures the programs and services that make the Union special can be enjoyed for years to come. Become a member today! You have an opportunity to have your memories inscribed on the Terrace with a purchase of a Terrace paver. Learn more by visiting terracepaver.org. Your gift and support means the world to our team, to the students who gain leadership experience through the Union and to the thousands of community members who enjoy experiences for a lifetime at Memorial Union. Make a Gift to Support MUR Now! For information on additional giving opportunities, such as planned or in-kind gifts, please contact Dan Plummer, annual gifts manager, at unionalumni@union.wisc.edu.